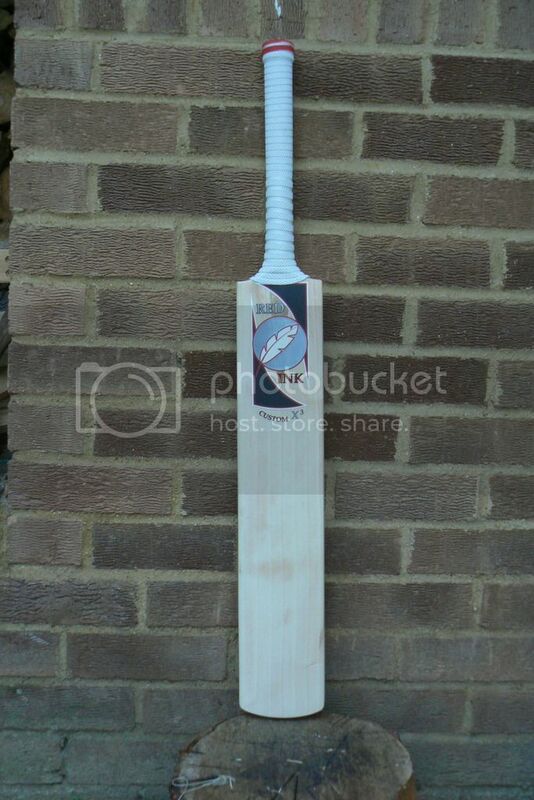 After reading the "Pictures of your Christmas cricket presents" Thread, I thought I should purchase myself a well deserved Christmas Present. I sent some text to Red Ink, asking for a high middle bat, between 2.7 and 2.8. The bat is based on a mix of my old blueroom and the Hell4Leather 666. As I had a limited budget I went for a Custom X3 grade. 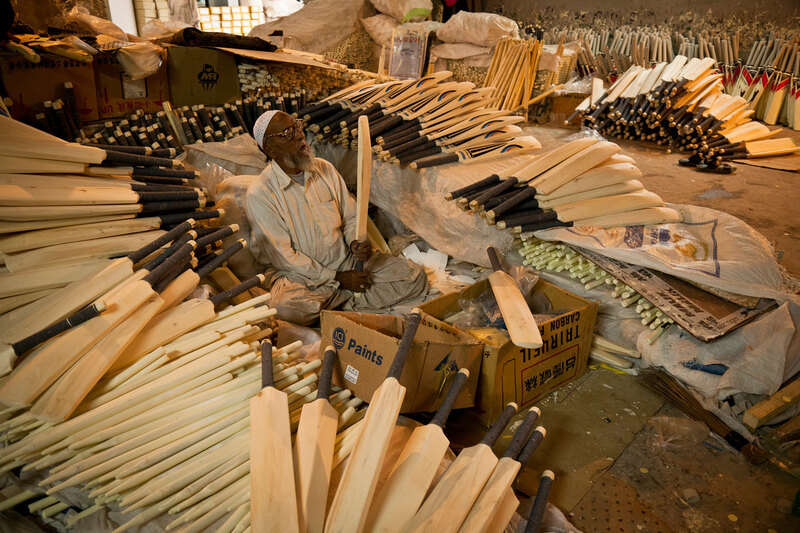 The bat has 7 even grains, 30mm edges and a 60mm spine. There are a few blemishes on the face as well as a small pin knot. On the back there are some blue stains in the grain. The bat is finished very well and has a very good pick up. Having spent the afternoon knocking the bat in, I was very happy with its ping, the mallet flies off the area of the blemish. Must say I am VERY happy with my purchase. 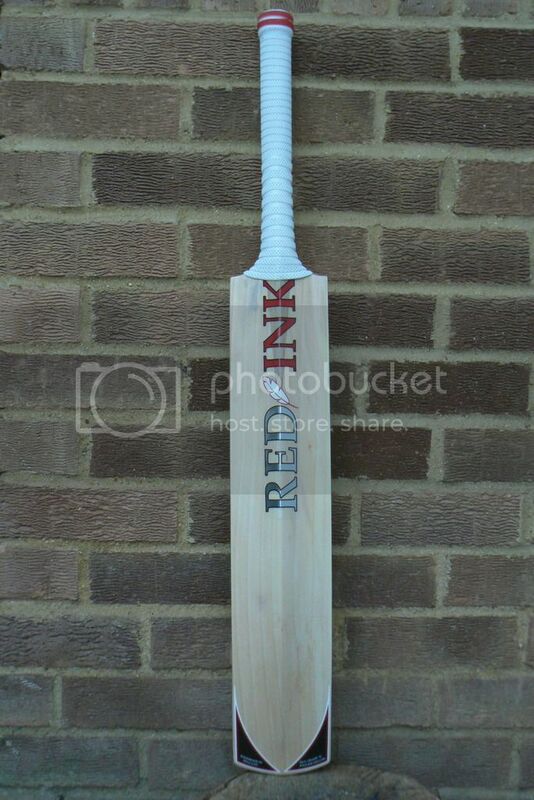 Big fan - lovely looking bat & must pick up like a feather at that weight. I'm not sure of the etiquette but what sort of price? Can't wait to get mine! Looks lovely that! Looks good. I also bought myself a red ink for Christmas and can't wait for it to arrive. 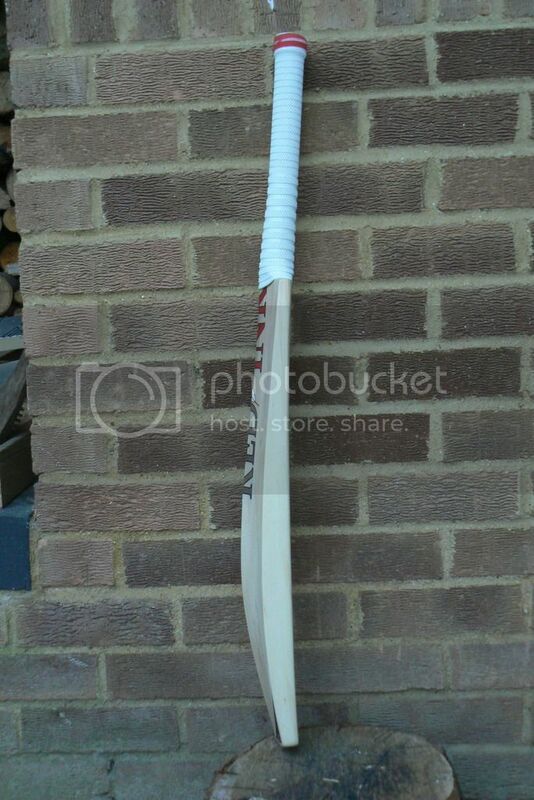 John does make a lovely looking bat, I broke my repaired X3 in nets last week, the pick up was unreal....absolutely gutted. Well it's a standard ordinary shape....and that's what makes it so nice. Lovely profile and I know Brucie really likes this brand as he has a nice one based on the old Tusker shape from years back. Awesome bat, but even better value. I don't think the pictures do the bat justice! 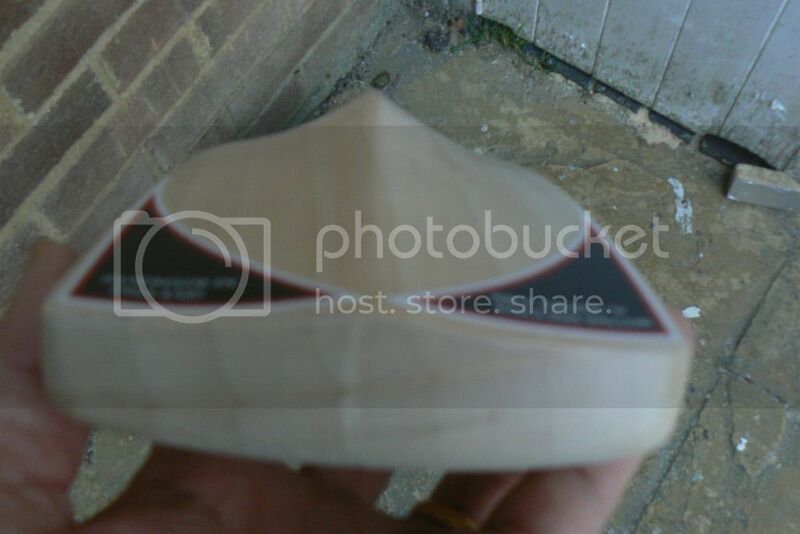 It looks small but it does have a 60mm spine. 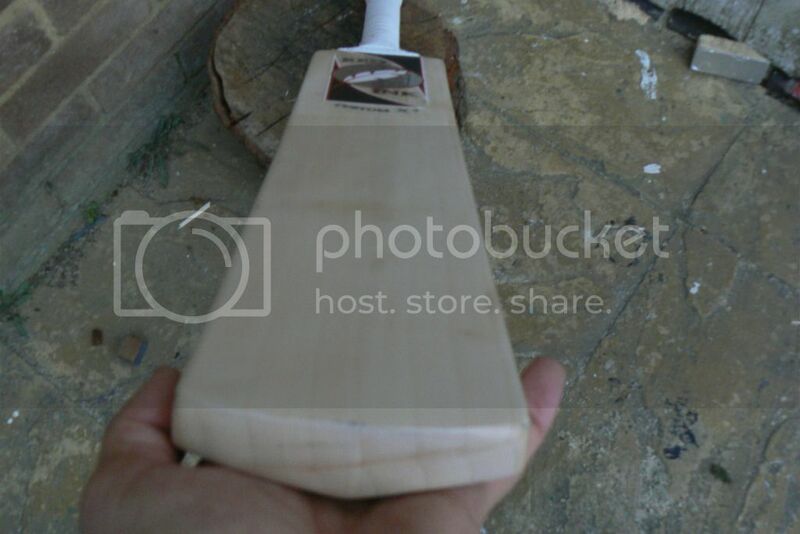 Looks like a very nice bat! Hope it serves you with many moooo shots! Well today I sold the bat. My best friend came round to have a look at it and fell in love with it. He always goes out of his way for me, So I let him have it. That means no Red Ink at the Southern Net from me!!!! You are bring the Laver for me to dribble over right? Unfortunately my Wife was at home at the time and has confiscated the money for her own use (as they do!!!). 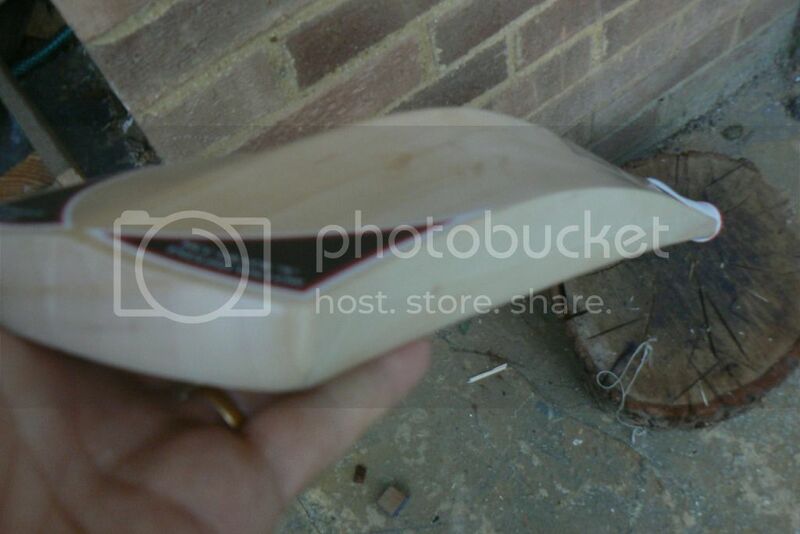 expect a new thread called "Look at my wife's new SHOES, which my bat paid for"
Wow that didn't hang around! Glad you were happy with it, but good to hear your friend was even more pleased. Happily make you another in the same shape or something a little different. Page created in 0.554 seconds with 36 queries.